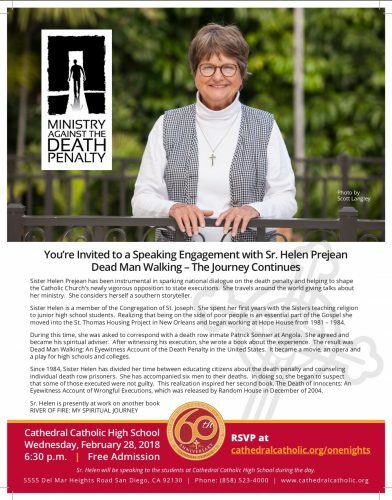 In February of 2018 I attended a talk given by Sister Helen Prejean at Cathedral Catholic High School. It was pretty great. 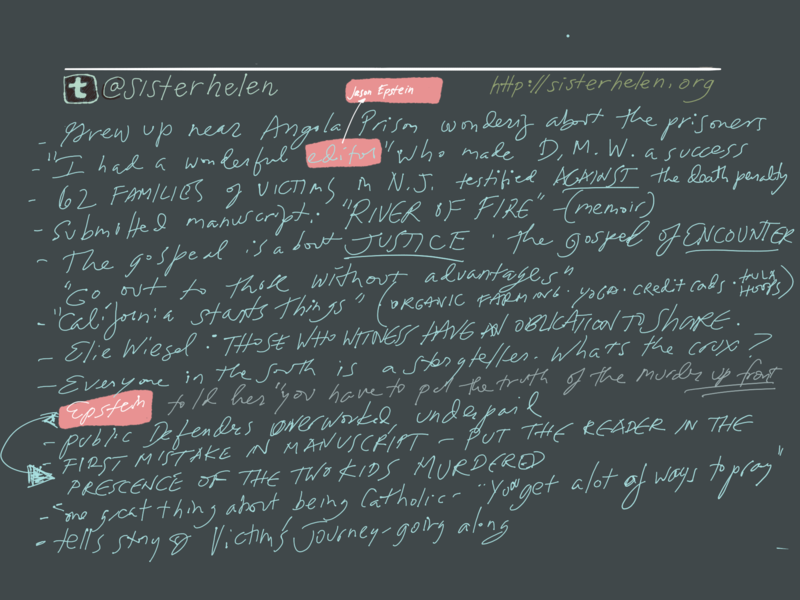 What I took away from it was her extraordinary and matter-of-fact way of speaking about something very difficult. That vengeance is ultimately useless. Political truths about the misapplication of the death penalty on nonwhite people and on the poor. And all in a very practical tone. 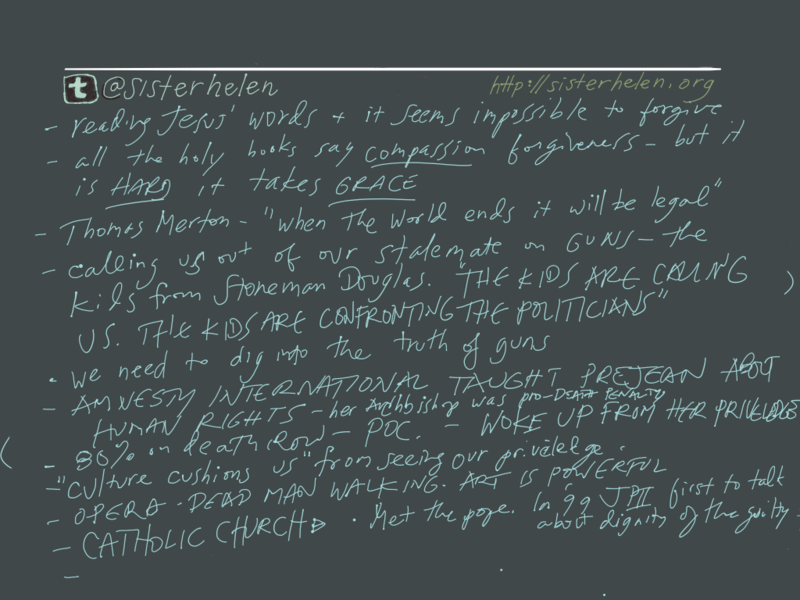 Joe Crawford blogged this at 5:00am in 2019 in March. The 25th was a Monday. You are reading this 1 month later. Comment. There are no comments Tweet. Send email. 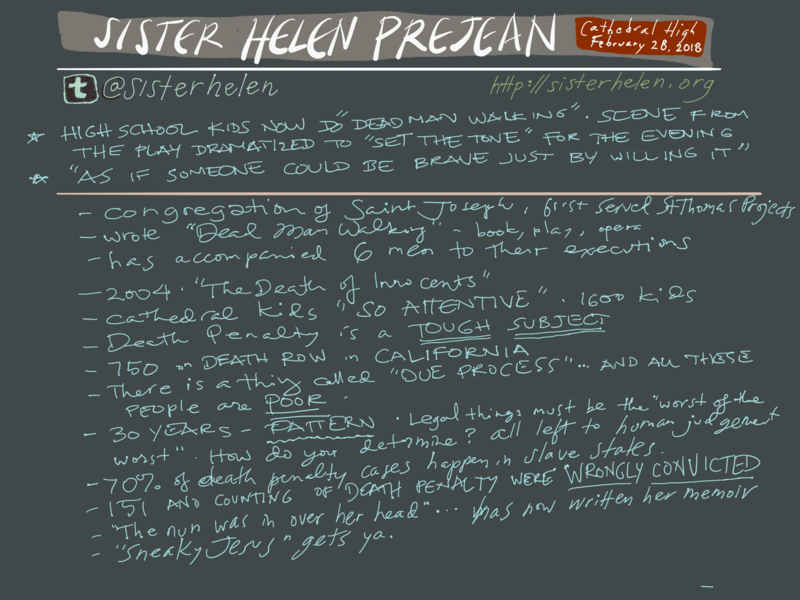 It has hashtags→ drawings sister Helen prejean sketchnotes .